Welcome to this year's 14th issue of DistroWatch Weekly! For many years, especially in North America, the concept of Linux went hand-in-hand with the name Red Hat. Red Hat was an early commercial seller of Linux software and support and continues to be profitable today. This week we tip our fedoras to Red Hat on the company's 25th anniversary. While 25 years may seem like a long time in the realm of technology, when dealing with big, long term projects it is important to have an operating system that is consistent and stable for years, possibly even decades. One organization is creating the Civil Infrastructure Platform which plans to support software, including specific versions of the Linux kernel, for over a decade at a time. We have more details in our News section along with a look at Ubuntu's minimal desktop install option, FreeBSD 10.3 reaching the end of its supported life and new changes coming to elementary OS. In this week's Feature Story we cover Gatter Linux 0.8, a lightweight distro that is based on Ubuntu and runs the Openbox window manager. Also in this issue, we share thoughts on the UNIX and Linux System Administration Handbook, a detailed text which talks about the many ways Linux and UNIX systems can be used. Our Opinion Poll asks whether educational books have played a role in your journey into Linux. Finally, we are happy to report a search feature has been added to our Simplified Manual Pages resource, making it easier to find the right programs and examples needed to perform your command line tasks. We wish you all a wonderful week and happy reading! Gatter Linux is an Ubuntu-based distribution which features the Openbox window manager as the default user interface. The project claims to be developing a desktop operating system which is user friendly: "For people who want switch from Windows to [the] Linux world and for people who want [a] lightweight operation system and also fully functional." I could find very little other information on the distribution on its website. The latest release of Gatter Linux is version 0.8 and it is based on Ubuntu 16.04 LTS. The distribution is available in one edition for 64-bit x86 computers. The ISO the project provides is approximately 830MB in size. Booting from this disc brings up a menu asking if we would like to boot into a live desktop environment, boot a live desktop displayed in safe graphics mode, or launch the project's system installer. Taking the live desktop option brings us to a graphical login screen where we can sign into the default account if we have the right password. I did not find any reference to a password on the project's website, but quickly got signed in by guessing the password "gatter". The live disc features the Openbox window manager. Openbox has been set up with a fairly sparse layout. There is a panel placed at the top of the screen which shows four unlabeled buttons and a system tray. I soon found the four blank buttons are actually a virtual desktop switcher that lets us switch between workspaces. The theme is dark and minimal. When we sign in a welcome window appears. This welcome screen features launchers which can open configuration tools. One button launches an application which will switch our keyboard's layout, another button opens a third-party driver manager, a third tool helps us set our time zone. One button marked Gatter Settings opens up a panel with options for changing the appearance of the Openbox environment. Another button is labelled Gatter Software. This button opens a terminal window and displays a menu of possible package-related actions such as updating the system, cleaning the package cache or performing a "dist upgrade". When I went to close the welcome window I noticed Gatter places window controls to the left side of windows rather than the more common approach to placing them on the right. I also noticed there was no visible application menu. We can right-click on an empty portion of the desktop to bring up a menu that gives us access to some settings and an application menu. I found no obvious way to install Gatter from the live desktop, so I restarted the system and took the install option from the live disc's boot menu. Since Gatter is based on Ubuntu, I had expected to be greeted by the Ubiquity system installer. Instead I was shown an undecorated window where I was asked to make up a username and password and, optionally, a root password. Next we are shown a list of partitions on the local disk and given a chance to assign mount points and a file system to each partition. The installer only supports working with ext2/3/4 file systems and there does not appear to be any way to create or alter partitions. To change partitions we have the option of booting back into the live disc and launching the GParted graphical partition manager and then rebooting again to relaunch the system installer. Once we assign mount points to our partitions the installer copies its packages to our hard drive and restarts the computer. My new copy of Gatter booted to a graphical login screen where I could sign into an Openbox session using the username and password I had chosen during the installation process. Signing in caused my screen to display a flat, grey background and nothing more. At first it looked as though the system had locked up, but then I realized I had a working mouse pointer. The distribution had logged me into an empty Openbox environment with no panel, welcome window or menus. I could right-click on the desktop to bring up a menu which would allow me to launch the Firefox web browser, open a virtual terminal or logout. At first I logged out to see if there were other session options and found there was just the one empty Openbox environment offered. This gives the user an unusually minimal environment with virtually no access to applications other than the standard GNU command line tools. The Openbox session takes up just 100MB of RAM, but the flip side to this minimal resource usage is a very spare environment. I did find there are more applications installed, along with Network Manager, systemd and version 4.4 of the Linux kernel. However, the only way to access these programs is through the command line. Software management is likewise handled through the APT command line utilities. I found Gatter uses the Ubuntu software repositories. This gives us access to a large collection of software, though we will want to be familiar with APT and Ubuntu's package names to install new items. At one point I installed all the available software updates (148 packages, totalling 288MB in size). The updates installed successfully. At one point the update process paused and popped up a menu asking where the GRUB boot loader should be installed, which it probably should have handled automatically since GRUB was already installed on the system. The project's website suggests Gatter Linux is for people who want to switch from Windows to Linux and who want a fully functional operating system. The project's statement strongly contradicts my experiences and observations with this distribution. Gatter's Openbox environment is one of the most minimal and unintuitive graphical environments I have used. Presenting the user with an empty desktop (on the installed system) or a mostly empty desktop with multiple virtual workspaces (on the live disc) is likely to confuse less experienced Linux users, to say nothing of what impression it will give to people coming from Windows. There are other issues such as the friendly Ubuntu Ubiquity installer being replaced with a barely functioning installer without partitioning support and the welcome screen only working on the live disc. I was also disappointed to see that this supposedly user friendly project does not include a software centre and instead throws the user into a cluttered, command line menu for doing package maintenance. The one feature Gatter had in its favour was, like other Ubuntu-based distributions, Gatter worked well with my hardware. All my desktop's hardware was properly detected and the system worked quickly. 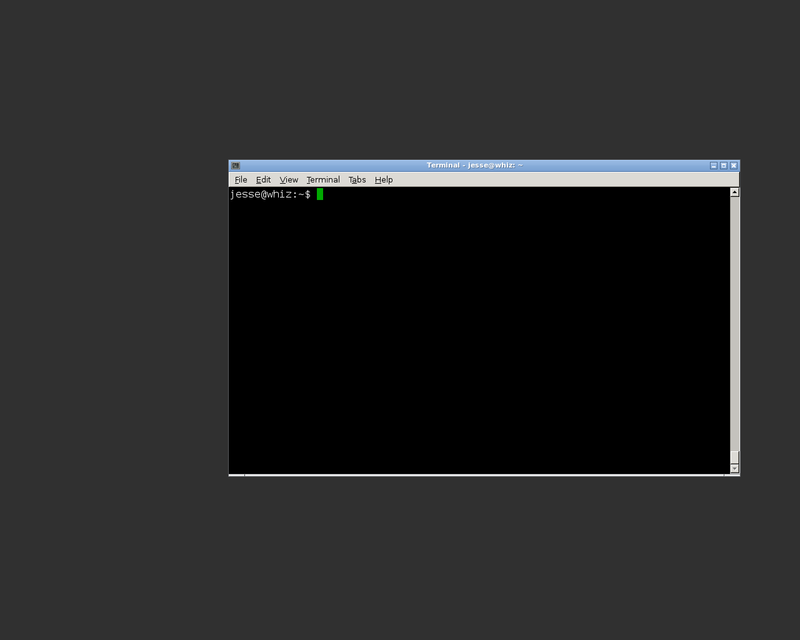 Gatter also ran fairly well in a VirtualBox environment. Though Gatter could not integrate with VirtualBox automatically, I was able to work around this by installing VirtualBox guest modules from the Ubuntu repositories. There are other small issues such as the standard window controls appearing on the left and a separate set of window buttons appearing on the right. This is likely to further frustrate both new and experienced Linux users as it is such an unusual setting. To wrap up, the Gatter website has no documentation and its forums are virtually silent, giving the impression of a project which has no active community, yet continues to publish new releases that offer an experience diverging quite a bit from the project's stated goals. Red Hat was one of the early commercial Linux distributions and, for years, its name was synonymous with Linux-based operating systems in North American markets. The open source company reached a milestone this week, celebrating its 25th anniversary. Jim Whitehurst, Red Hat's current President and CEO, published a blog post to mark the occasion. "When Marc Ewing and Bob Young founded Red Hat in 1993, it's hard to believe that even they could have imagined all of the ways open source - and Red Hat - would transform the technology industry. We continue to be awed by all of the incredible ways our customers are using open source solutions to grow and succeed and are looking forward to many more years of working with them to do this. We continue to be inspired by the innovations emerging from open source communities that are shaping the future of technology and are looking forward to continuing the contributions and collaboration that make us Red Hat." Red Hat has been unusually profitable for a company dedicated to supporting open source software, making nearly three billion dollars in revenue last year. One feature of the upcoming Ubuntu 18.04 release we have mentioned before is the ability to set up a minimal desktop environment during the install process. This feature, which looks like it will be available in all community editions of Ubuntu, can be turned on by clicking a check box in the Ubiquity installer. A list of the applications and supporting packages which will not be installed on Ubuntu when the minimal desktop option is selected has been published. How long do you expect your Linux distribution to receive support and security fixes? If you like to stay on the cutting edge, you might be happy with six months of support. People who prefer a more leisurely pace might feel comfortable with five years of support. Commercial software companies like Red Hat and SUSE make their money by selling support and fixes for around ten years. While ten years is enough for most companies and virtually all home users, it is a relatively short life time when we consider social infrastructure such as traffic lights, power generation stations and banking systems. With this in mind the Civil Infrastructure Platform (CIP) is looking at maintaining a stable software base for a minimum of twenty years. "Civilization runs on Linux. Infrastructure we all count on, including that dealing with transportation, power generation, and more, is Linux based. If those systems fail, we will have serious problems. But this kind of infrastructure runs on a different time scale than a typical Linux distribution. The development time required just to place such a system in service can approach two decades, and the system itself can then stay in service for 25-60 years. The computing systems that support this infrastructure must thus continue to work for a long time. It must be based on 'industrial-grade' software that is able to provide the required level of reliability, robustness, and security. But the systems supporting civil infrastructure also must be brought up to current technology levels. Until now, the long-term support needed to keep them running has been done by individual companies, with little in the way of shared effort. That has kept these systems functional, but it is an expensive approach that tends to lag behind the current state of the technology." LWN offers more details on the Civil Infrastructure Platform and its plans to offer super long term support (SLTS) releases. The elementary OS developers are working on new, convenient features and shortcuts for the upcoming launch of elementary OS 0.4 "Juno". One handy shortcut shows the user other available keyboard shortcuts. "Similar to the popular feature from Ubuntu's Unity desktop, you'll now see a keyboard shortcuts cheat sheet when you tap the meta key in Juno. Tap meta to see a list of system keyboard shortcuts The shortcut overlay will automatically close when you use one of these shortcuts or switch to another window, and you can easily get to shortcut settings by clicking the gear icon in the top right of the window. If you'd prefer to use your meta key for something else, you'll be able to choose between showing the Shortcut Overlay, the Applications Menu, or doing nothing in the Keyboard Layout settings." This blog post talks about more new features coming to elementary OS. The FreeBSD Security Team has sent out an e-mail reminding FreeBSD users that version 10.3 of FreeBSD will soon reach the end of its supported life. "As of April 30, 2018, FreeBSD 10.3 will reach end-of-life and will no longer be supported by the FreeBSD Security Team. Users of FreeBSD 10.3 are strongly encouraged to upgrade to a newer release as soon as possible." Existing FreeBSD users can upgrade to version 10.4 or 11.1 to continue receiving security updates. The second thing I noticed hen I picked up my copy of UNIX and Linux System Administrative Handbook (hereafter referred to as simply The Handbook), was the cover had a rich and creative illustration. The covers (front and back) are decorated with a sailing ship on the ocean. The ship is occupied by animals such a penguin and a python. There is a shady computer firing a cannon full of spam, and a developer and computer struggling to eat a plate of spaghetti. There is a letter addressed to "nobody" and someone struggling with a pearl. I like the colourful cover because it acts as a good filter for people who will probably appreciate and enjoy this book. If you glance at the cover and recognize more than half a dozen computer and open source concepts, then this book is probably a good addition to your bookcase. If the cover illustration is not full of familiar symbols then this book may not be a good fit because it is going to dive into some complex material and it is going to dive in fast. The first thing I noticed about The Handbook, in case you were wondering, is that it is hefty. The book, including about 35 pages set aside for its table of contents, is 1,222 pages long. And there aren't many screen shots or other pictures, it's solid text through from start to finish. So what takes up so much ink? 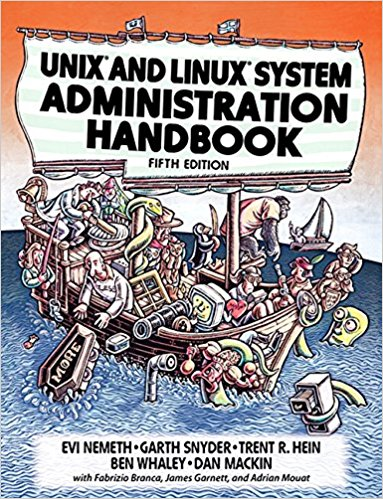 The Handbook covers an amazing range of system administration topics for Linux and FreeBSD professionals. Everything from process management, to shell scripting, to kernel configuration, to network troubleshooting. There is a page dedicated to the ideal humidity levels in your server room or data centre. You want to dive into running a DNS server? There is a section for that. Want to get into a debate about proper swap configuration? The Handbook covers that too. Would you like to learn how to use an advanced file system like ZFS? That is covered as well, along with such topics as working in cloud environments and package management across multiple operating systems. There is a lot to cover - again, the table of contents alone is over 30 pages, so I'm going to skim over the details. There are, in my opinion, two important things to keep in mind when reading The Handbook. The first is this book is not for beginners. It doesn't talk much about desktops or how to install an operating system or how to navigate a command line. The authors expect us to already be comfortable installing and using Linux or FreeBSD. The second thing to keep in mind is the text is aimed at professionals (or people who wish to become professionals). The book mostly focuses on big name Linux distributions used in business settings, such as Red Hat Enterprise Linux, Ubuntu and FreeBSD. 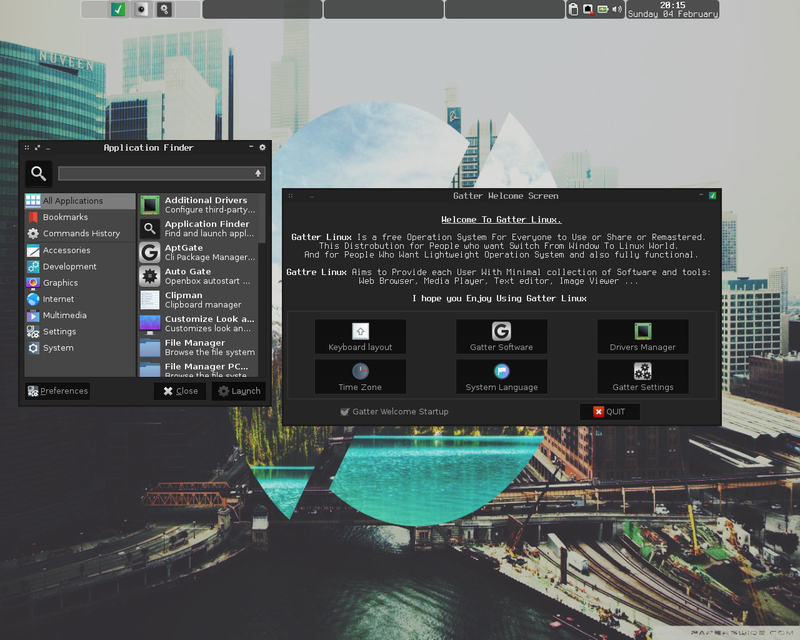 Smaller Linux distributions or ones designed with home users in mind, such as Solus or Arch Linux are generally not discussed. Even SUSE Linux Enterprise, a well known distribution in business circles, is rarely mentioned. I found The Handbook oddly engaging, considering the material is both highly technical and sometimes dry. The authors have done a good job in keeping the instruction moving at a quick pace. And, perhaps more importantly, there is a lot of wisdom imparted in the pages. There is a saying that "Knowledge is knowing a tomato is a fruit, not a vegetable. Wisdom is knowing not to put a tomato in a fruit salad." One thing I appreciated about The Handbook is it gives us a lot of knowledge, but also tosses in nuggets of hard-won wisdom along the way. For example, knowing how to create a shell script to clean up old files is useful knowledge. Being told to check shell variables before passing them to the remove command to avoid deleting the entire file system is valuable wisdom. I think the Handbook does a pretty good job of imparting knowledge while also adding important bits of wisdom in most sections. The practical advice provided is likely to be just as helpful to new administrators as the technical information included in The Handbook. One of the few concerns I had when I started reading the Handbook was the same one I have when reading any printed text dealing with technology: time marches quickly in the open source world. When an author writes about a new feature or component they do so knowing it may be outdated by the time the book is published. The authors have done a pretty good job of dodging obsolete tips and technology in The Handbook. Part of this success is due, I believe, to the authors focusing on more conservative platforms like CentOS, Debian and FreeBSD which only update once every two or three years. Still, there are a few pages showing their age. The section on package management in the Red Hat family of operating systems focuses on RPM and YUM, but I could not find any mention of DNF which has been the default package manager in Fedora for the past few releases and will likely be the default in the next version of Red Hat Enterprise Linux. Likewise, the book suggests Debian's APT is as close to a universal package manager as Linux gets. This overlooks portable package formats such as Flatpak which have become popular recently. Going the other way, The Handbook makes a prediction which turned out to be premature. In a section on FreeBSD the book mentions FreeBSD 11 packages the base operating system in a way that makes it manageable by the pkg package manager. This was a planned feature, but was pushed back until FreeBSD 12 which probably was not known when this book went to the publisher. These small issues aside, the book does a great job of being relevant in a changing sea of open source technology. The authors have done a good job of keeping the book current and focused on commonly used features. One feature of The Handbook I especially appreciated was that the authors would explain a concept or package and then add a paragraph which talked about any platform-specific quirks. For example, when talking about the GRUB boot loader we are told GRUB's settings can be found in the /boot/grub/.cfg file, but then there is a paragraph which mentions the Red Hat family of distributions places this same information in the /boot/grub2/custom.cfg file. In fact, a lot of the footnotes deal with how Red Hat tends to do things in a slightly different way when compared to other Linux distributions. I appreciated these asides a lot as it can be tricky troubleshooting platform-specific quirks when code or scripts have been tested on another distribution. The only complaint I had about The Handbook was some sections included elitist comments which I suspect were intended as humour, but which I felt fell flat over the medium of text. As an example, early on the book suggests learning to use a few commonly used text editors such as vi, which has been available on virtually every UNIX and Linux platform for decades, and nano, which is much more user friendly and commonly used these days. The book correctly points out vi's value and nano's relative ease of use and then suggests the reader should learn to use vi as using nano will result in being ridiculed by experienced system administrators. In a similar passage the reader is told to use Python or Bash rather than PHP for scripts, not for any technical reason, but because other administrators will tease PHP coders at conferences. The comments made in this vein were probably intended to be funny, but they felt out of place in an otherwise tightly technically tome. On the flip side, I will say on the authors' behalf that I think they handled some touchy subjects, such as the adoption of systemd, smoothly. The Upstart vs SysV init vs systemd debate has waged on for years and the authors did a good job of explaining why many people dislike systemd while also covering the features which make systemd appealing to many others. Every so often I encounter someone on a forum saying they want to "learn Linux" in order to work with Linux workstation or server systems professionally and asking where they should start. This book is now going to be part of my go to answer. It covers such a wide range of subjects and does so deeply. Absorbing and following the lessons in this book will put someone well on their way to being able to manage a network of Linux or FreeBSD machines. I wouldn't recommend it for someone planning to use Linux casually at home, but for people who want to really get into the nuts and bolts and possibly making a living running Linux or FreeBSD, this book is a great place to start. 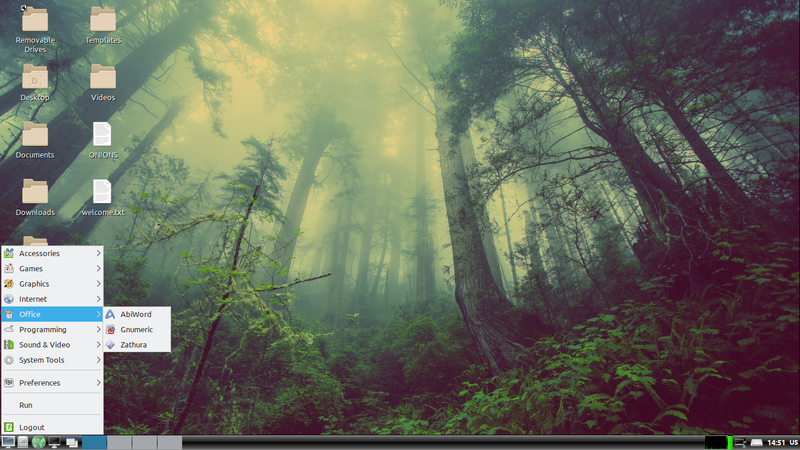 Slax is a live Linux distribution based on Debian. The Slax project has published a new version, Slax 9.4.0, which contains mostly package updates and bug fixes imported from Debian. "This version incorporates all upstream improvements from Debian stable, adds several default applications and fixes several known bugs. File manager now understands file types, so it is easier for users to open files like images, PDF documents, and so on. On top of all that, Slax now includes one-click-to-install launchers, to offer additional software to users while keeping Slax size small. If the current approach proves useful, Slax could contain lots of icons for additional programs, which will be simply installed (automatically) when launched for the first time." A list of changes between Slax's 9.3.0 release and 9.4.0 can be found in the distribution's changelog. Slax's ISOs and checksum can be found on the project's home page. heads is a privacy-focused Linux distribution designed to make it easy for users to access the Internet anonymously using the Tor network. The latest version of the distribution, heads 0.4, is based on Devuan's Testing branch and makes an effort to reduce both the size of the live ISO and memory requirements. "heads has been rebased on Devuan Beowulf (Testing), which brings us current-day software and no planned obsolecence. Our new init system is SysV init combined with OpenRC. This is a modern approach to init and it's working quite stable. heads does not depend on Debian's live-boot/live-config anymore. Instead, we have a minimal way of bringup that is a lot more auditable than the thousands of lines of spaghetti shell scripts Debian is able to produce. This release also removes some big software like Evince, in order to replace it with more minimal replacements - in this case Zathura. More can be seen in the git commits of heads' build system." Further information can be found in the distribution's release announcement. Andrew David Wong has announced the release of Qubes OS 4.0, a major new update of the project's security-oriented desktop Linux distribution based on Fedora 25: "After nearly two years in development and countless hours of testing, we're pleased to announce the stable release of Qubes OS 4.0. Version 4.0 includes several fundamental improvements to the security and functionality of Qubes OS: the Qubes Admin API; Qubes Core Stack version 3; fully virtualized virtual machines for enhanced security; multiple, flexible Disposable VM templates; a more expressive, user-friendly Qubes RPC policy system; a powerful new VM volume manager that makes it easy to keep VMs on external drives; enhanced TemplateVM security via split packages and network interface removal; more secure backups with scrypt for stronger key derivation and enforced encryption; re-written command-line tools with new options." See the release announcement and release notes for more information. Jim Pingle has announced the release of pfSense 2.4.3, the latest update of the specialist FreeBSD-based operating system for firewalls and routers: "We are excited to announce the release of pfSense software version 2.4.3, now available for new installations and upgrades. pfSense software version 2.4.3 brings security patches, several new features, support for new Netgate hardware models, and stability fixes for issues present in previous pfSense 2.4.x branch releases. This release includes several important security patches: kernel PTI mitigations for Meltdown; IBRS mitigation for Spectre V2 (requires updated CPU microcode); fixed three potential XSS vectors and two potential CSRF issues; CSRF protection for all dashboard widgets; updated several base system packages to address CVEs. In addition to security fixes, pfSense software version 2.4.3 also includes important bug fixes." Read the rest of the release announcement for a full changelog and upgrade instructions. TrueOS is a FreeBSD-based operating system which features a graphical system installer and a rolling release platform. The TrueOS team has announced the availability of a new snapshot, TrueOS 18.03, which includes fixes for the Meltdown and Spectre classes of CPU bugs. "The TrueOS team is pleased to announce the availability of a new STABLE release of the TrueOS project (version 18.03). This is a special release due to the security issues impacting the computing world since the beginning of 2018. In particular, mitigating the "Meltdown" and "Spectre" system exploits make it necessary to update the entire package ecosystem for TrueOS. This release does not replace the scheduled June STABLE update, but provides the necessary and expected security updates for the STABLE release branch of TrueOS, even though this is part-way through our normal release cycle. Important changes between version 17.12 and 18.03: "Meltdown" security fixes: This release contains all the fixes to FreeBSD which mitigate the security issues for systems that utilize Intel-based processors when running virtual machines such as FreeBSD jails. Please note that virtual machines or jails must also be updated to a version of FreeBSD or TrueOS which contains these security fixes." More details on TrueOS 18.03 can be found in the project's release announcement. TrueOS is available in two editions: Desktop and Server. Redcore Linux is a Gentoo-based distribution which strives to be easy to install and features the LXQt desktop environment. The project's latest snapshot release includes several security improvements, such as running a hardened Linux kernel and compiling software with address space layout randomization (ASLR). "The Redcore Linux team is pleased to announce the availability of a new stable release of the Redcore Linux project (version 1803, codename Jupiter). This is mostly a security/hardening focused release due to the recently discovered CPU flaws (Meltdown/Spectre). So we took our time and we updated/rebuilt/hardened the entire package ecosystem. You won't see much difference from our previous release, except some new features in our package manager (Sisyphus). Here is a very brief changelog: resync with Gentoo portage tree (31.03.2018); rebased the distribution on Gentoo 17.0 hardened profile; Linux kernel LTS 4.14.30 hardened; toolchain update (hardened) - GCC 7.3.0, glibc 2.26, binutils 2.30; mesa 18.0.0, Clang/LLVM 6.0.0, kde-frameworks 5.44, kde-apps 17.12.3; significantly improved CPU usage (~300% lower usage in live mode)..." Additiona information can be found in the distribution's release announcement. 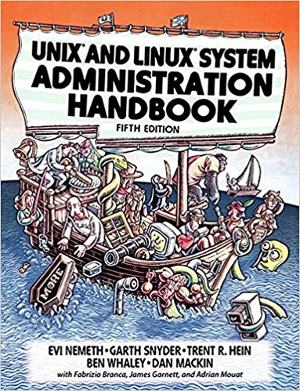 This week we talked about the UNIX and Linux System Administration Handbook. These days, with so many tutorials, videos and on-line wikis, books have a lot of competition as a learning resource. In this poll we would like to know if you have ever used a book to further your knowledge about Linux or the BSDs? If you have found a useful Linux textbook please let us know its title in the comments. You can see the results of our previous poll on using legacy or cutting-edge software in last week's edition. All previous poll results can be found in our poll archives. Linux manual pages are often lengthy, highly technical and lack useful examples. DistroWatch hosts a copy of the TLDR-pages project which writes simplified versions of manual pages with examples of common usage. In an effort to make the right page easier to find we have added a search function to our collection of simplified manual pages. Now, if you do not know the name of the exact command you are looking for it is possible to perform quick searches for key words such as "find", "compress" or "image" to locate manual pages dealing with locating files, working with archives and manipulating images, respectively. NomadBSD. NomadBSD is a live desktop, 64-bit operating system designed to be run from USB thumb drives. It is based on FreeBSD.